Music is the literature of the heart; it commences where speech ends. 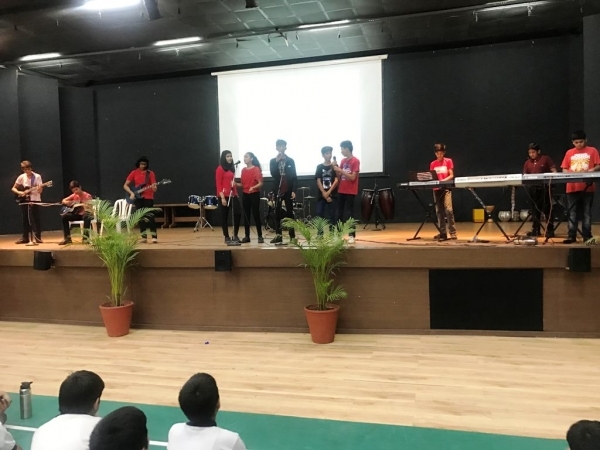 Expressing their prowess at playing different instruments, the students of Sopaan’s APA and Clubs of Music gave exemplary band presentations on 28th September 2018 at an event organized by the Music Department. 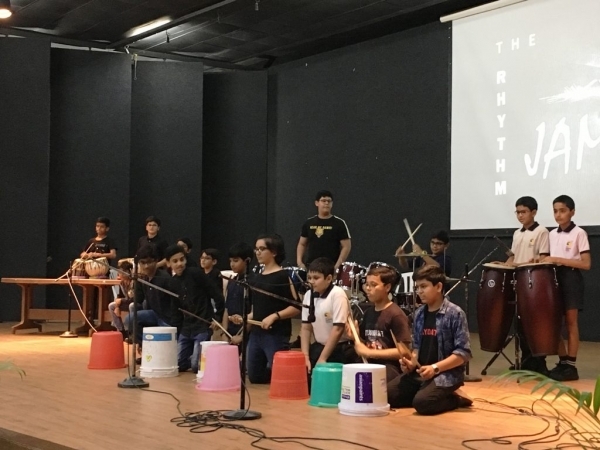 The songs were presented on three different rhythm patterns- Reggae, Twist & Hard rock. The first performance was by ‘The Reggaetonics’ who performed the songs Dil hai chhota sa and Aawara Bhanvre. 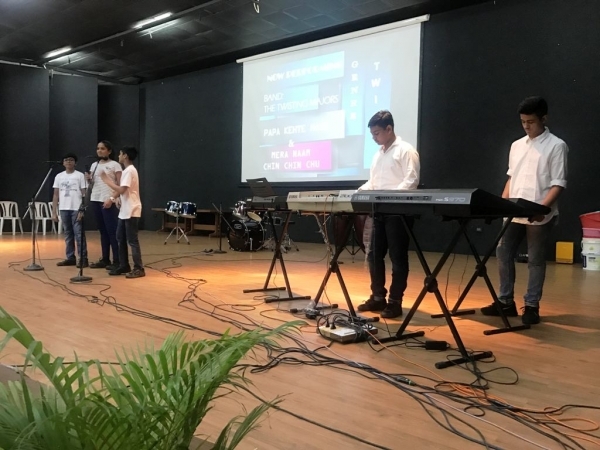 The second and third performances were by the band ‘Rock-O- Fuzz’ and ‘The Twisting Majors’ who performed the songs Zinda, pichhle sat dino me, Papa kehte hain, Mera naam chin chin hu etc. 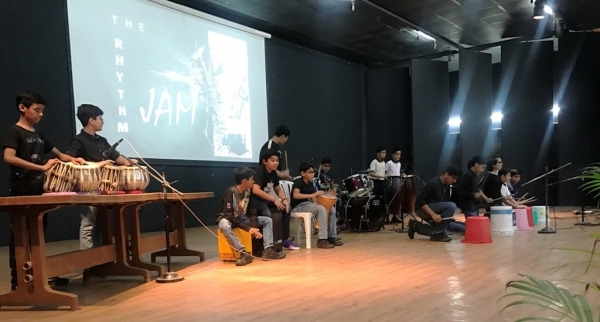 Rhythm Jam was the last performance of the event which was by the students of Drums and Percussion who used Tumba, Timbani, Tabla, Darbuka, Buckets, Cajon and Jazz Drums.